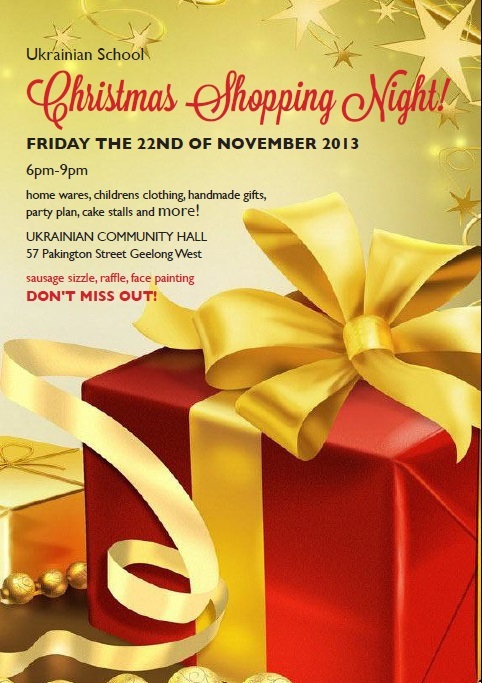 Start collecting your loose change in readiness for the upcoming Christmas Shopping Night on Friday 22nd November at 6-9 pm at 57 Pakington St, Geelong West. 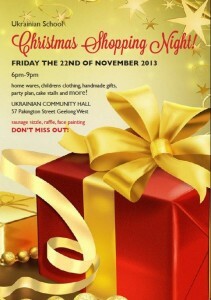 Homewares, clothing, handmade gifts, party plan, cake stalls, sausage sizzle, raffles, face painting and more! Proceeds go to the local community Ukrainian School. Prev: Is your Current Property Manager Keeping you in the Dark?